There are not a lot of bookshops near my home. Actually, there are not any bookshops near my home. 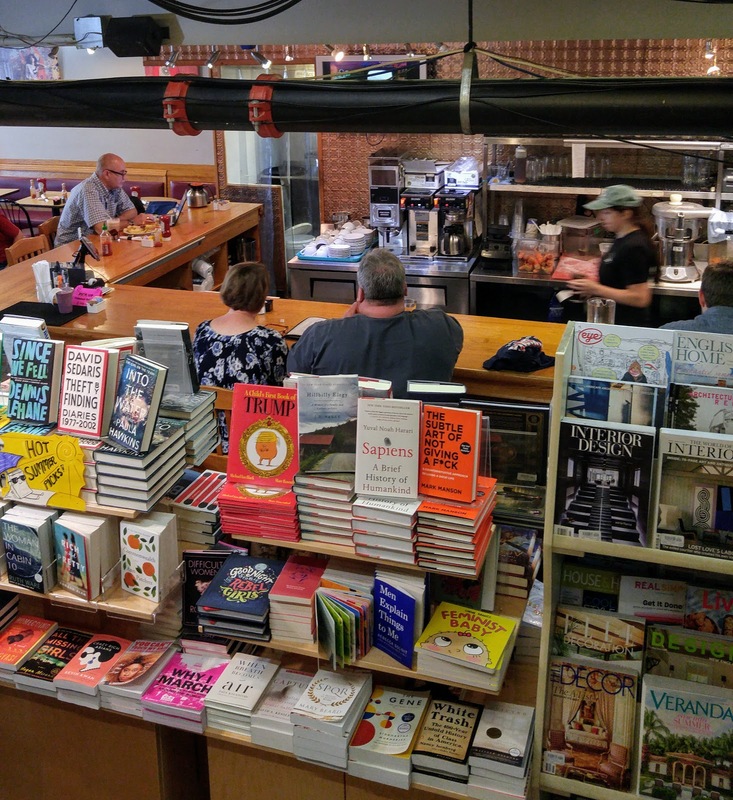 The nearest Barnes & Noble is about 45 minutes away and that is about as good as it gets. 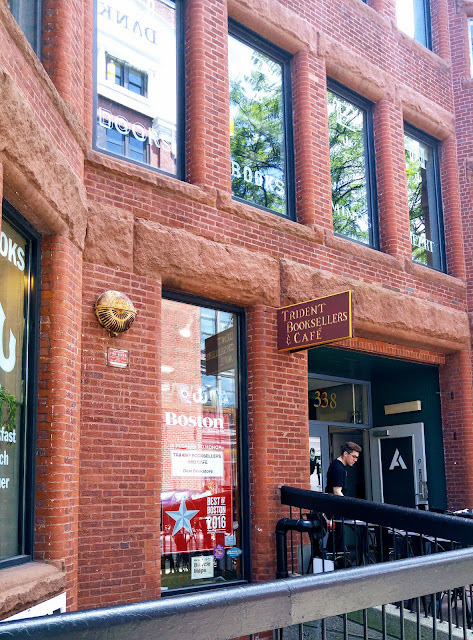 So, when I realized that I would be in Boston a few times a month I started compiling a list of bookshops I absolutely had to visit. I am making unbelievably slow progress in conquering this list because my time is not my own when I am in Boston but last week I managed to check one more bookshop off my list. A kind person on Instagram suggested I visit Trident Booksellers & Cafe. When, through the vagaries of Boston traffic, I ended up arriving at my destination an hour early I knew this was the time. I mapped the location and started power walking in the heat to the store on Newbury Street. After one small detour, when Google maps thought it was a good idea to walk me through a back alley, I finally arrived. The cafe looked very nice. There was seating outside as well as upstairs and on the main floor. With only one hour to get there, look around, and get back to where I needed to be I wasn't able to try it but hopefully, I will be back. My Instagram source speaks highly of the granola. The store seemed to have a little bit of everything. There was a small children's section, a gift section, and all the usual categories. They had spinning racks of Dover Thrift Classics scattered throughout the store. I was tempted by a number of things, including these mugs which I am deeply regretting leaving behind now that I am home. I was determined to buy something. I have decided it is my moral obligation to make a purchase from any independent bookstore I enter. (How is that for book buying justification?) I didn't have time for my usual dithering which might have been a good thing. This is what I bought. I need to visit this one! I recommend Brookline Booksmith too, and the Harvard Book Store in Cambridge. 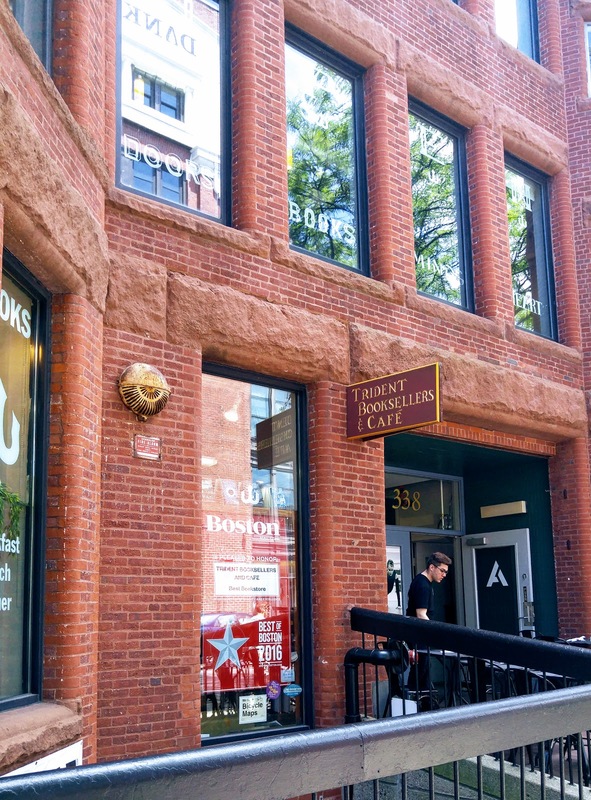 The Harvard Book Store was already on my list but I'm adding Brookline Booksmith. 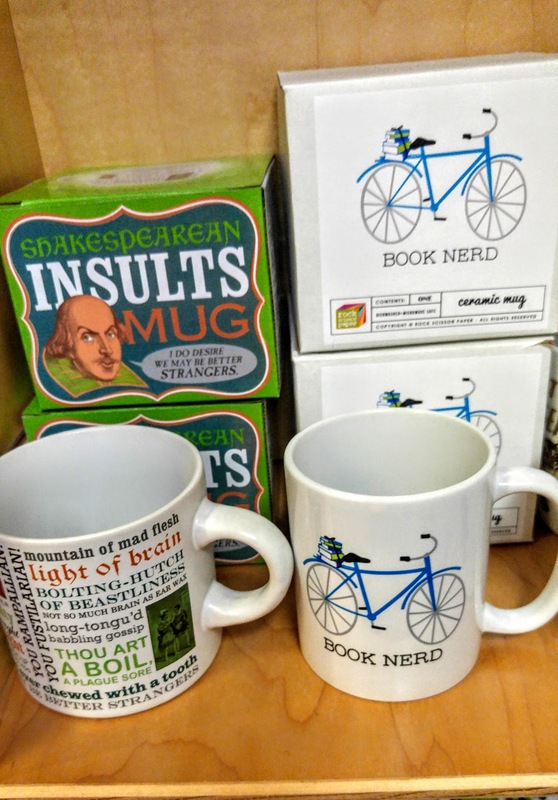 The more bookshops the better! Ooh, lovely bookshop! 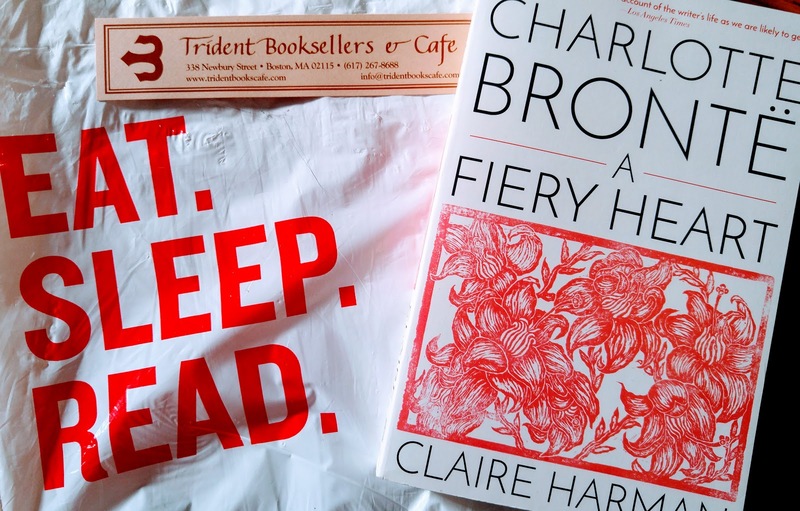 I always feel the need to buy something when I go to independent bookstores, too. We're just doing our duty! And what a pleasant duty it is! 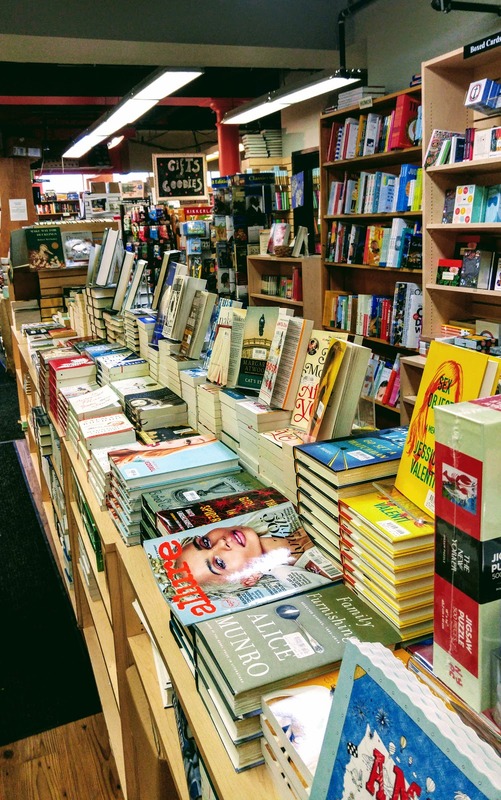 "I have decided it is my moral obligation to make a purchase from any independent bookstore I enter." Haha, I feel the same way! ;) I also try to think of the books I buy as 'souvenirs', with more value than a magnet or some other tchotke (I can also only visit indie bookstores when travelling). Yes, books make the best souvenirs! 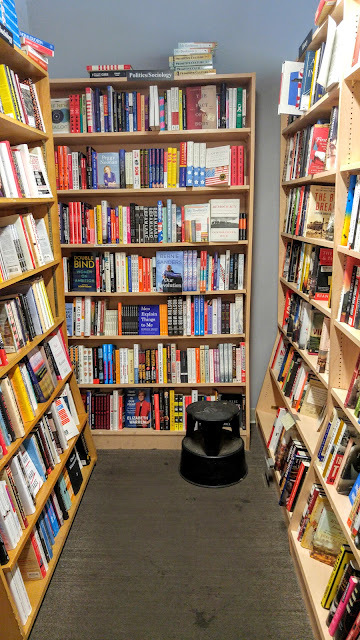 My brother used to live in Cambridge, and we always went to one particular bookstore when we visited him, but I don't remember what it was called, so I will ask him and try to come tell you. I totally try to buy something from all indie bookstores too, including the used ones. Not usually hard to do, lol! Okay, he says the one we mostly went to was the Harvard Book Store, but he also took me to the Curious George Store for children's books and the Grolier Poetry Book Shop. Thanks for checking! The Harvard Book Store is on my list. I've never heard of the Grolier Poetry Book Shop. That would be interesting and different to check out. I'll report back after I visit but it might take a while. I just looked up the Grolier Poetry Book Shop. I didn't realize it was just around the corner from the Harvard Book Store. That should be a good day! Yup, and IIRC, the poetry shop is small, so you're not going to spend forever there.